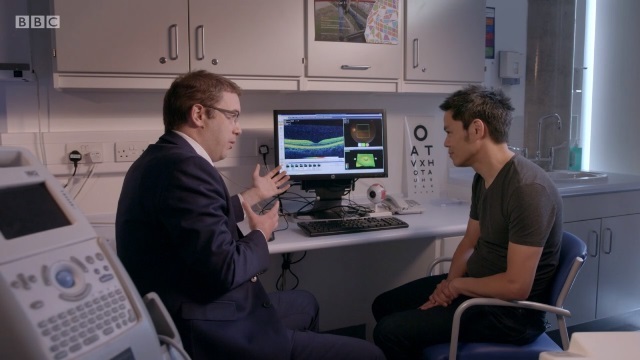 As part of a live TV show celebrating 70 years of the NHS, Pearse Keane, consultant ophthalmologist at Moorfields Private, was recently interviewed on the BBC talking about Moorfields’ research partnership with DeepMind Health and how it could transform the way health care professionals diagnose eye diseases. Pearse specialises in the treatment of retinal diseases, including age-related macular degeneration (AMD), and is also a clinician scientist at the National Institute of Health Research and UCL. His research looks at how emerging technologies could be used to solve real-world healthcare problems and improve patient care. In 2016, Pearse helped to initiate a collaboration between Moorfields Eye Hospital and DeepMind Health – a leading technology company. The project is using artificial intelligence and machine learning to analyse complex eye scans in the hope that it will lead to earlier detection and treatment of eye diseases in the future.